With progressive aging in Asia, countries face the challenge of sustaining productivity and growth in the future. Cyn-Young Park, Director of Regional Cooperation and Integration Division, and Aiko Kikkawa Takenaka, Economist, both from ADB's Economic Research and Regional Cooperation Department, tackle the role of technology and innovation, and regional cooperation in overcoming the negative consequences from a contracting and aging workforce. Read blog. 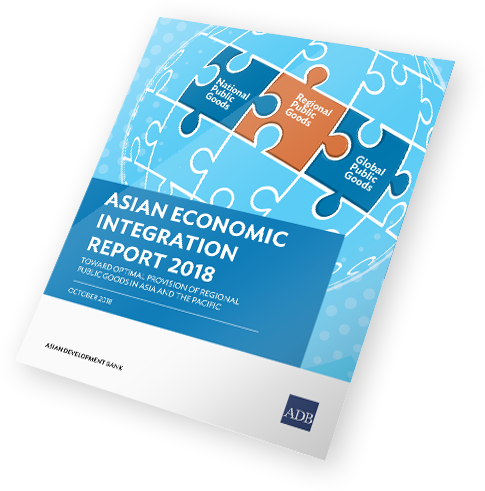 Asia continues to push for greater trade liberalization, with the recent effectivity of the Comprehensive and Progressive Agreement for Trans-Pacific Partnership and the Japan-European Union Economic Partnership Agreement, and the upgrading of several existing Asian FTAs, bringing the total number of Asian FTAs at various stages of development to 253. Cyn-Young Park, ADB's Director of Regional Cooperation and Integration Division of the Economic Research and Regional Cooperation Department, explores the impact of regional integration on growth, inequality, and poverty using a multidimensional approach. Her analysis suggests that regional integration boosts growth and reduces poverty, beyond the usual effect of trade openness. Read blog. This publication examines current trends in trade, finance, migration, remittances and other economic activities in the region. Monitors daily changes in currencies | stocks | commodities | and interest rates within the region.